The US Department of Educations' Place Base Initiatives Pilot Team is excited to announce that registration has opened for the Ready by 21 National Meeting and the Place-Based initiative Pre-Meeting scheduled for March 29-31, 2017 in Austin, TX. 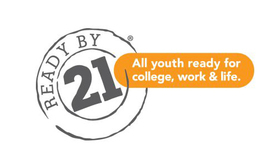 The ready by 21 National Meeting is aimed at community leaders and practitioners, including youth leaders, who are committed to improving partnerships, policies, and practices for children and youth. A scholarship will be available to reimburse travel expenses for one person per Promise Zone Community to attend the national meeting. Please note that meeting registration costs and related fees cannot be reimbursed. Communities are encouraged to send additional representatives to the national meeting (through their own resources) in order to fully participate in the broad range of sessions and topics that will be available. The U.S. Department of Labor recently awarded the City of Minneapolis with the Pathways to Justice Careers Grant. In partnership with Minneapolis Public Schools, students will be supported throughout the program by a Check & Connect Case Manager who will keep them on track toward graduation and help guide them in their next education or training steps. Additional project partners include the Minneapolis Police, Fire, and City Attorney's departments, Hennepin County Medical Center, 911, FBI, Park Patrol and several departments within Hennepin County. A nonprofit in north Minneapolis has found that mentoring kids is one part friendship and one part job training. Youth Enterprise Foundation gives kids a part-time job and some life skills that they can carry out into the job market, or use to start their own business one day. The program began about five years ago with 20 townhouses that the MPHA purchased from a bankrupt developer during the recession. The intent was "to stabilize the neighborhood and provide ownership opportunities to MPHA applicants," said Jan Hughes, lease-to-own administrator. Building off the 2016 momentum of the Guns in the Hands of Artists exhibit, and the following the 2016 Minneapolis Gun Buyback, Pillsbury United Communities continues its gun-violence awareness efforts with Art is My Weapon: Creatively addressing violence initiative. Our Mnisota started with a community forum at the Minneapolis American Indian Center.